Planning relocation from Philadelphia, PA to Columbus, OH? 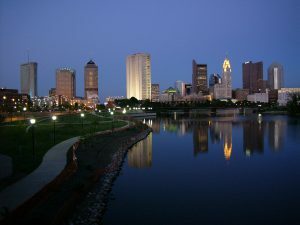 Capital of the State of Ohio, Columbus is the largest city in the state, with a population of over 825,000 residents. In this beautiful city, everyone can find something to his or her liking. If you are coming here with your family, you will love the Columbus Zoo and COSI, the famous science museum. People who are into art will enjoy the Gallery Hop and the Columbus Museum of Art. Also, the city is a paradise for foodies who will love the amazing local cuisine. If you are visiting Columbus or going there for a long vacation or business trip, it is a good idea to use vehicle transport for your car. Our company will be glad to assist you shipping your vehicle from Philadelphia, PA to Columbus, OH! The distance between Philadelphia and Columbus is about 500 miles. While it might seem like an 8-hour trip is not that long of a drive, there may be many reasons why you would find shipping a car to a better option. First of all, you will not have to pay for gas. Secondly, your car will not accrue any extra mileage from the trip. Thirdly, you will save yourself a day’s worth of time. Also, there are various situations that might necessitate shipping a car. For example, you have bought a car in Philadelphia and need it shipped to Columbus. Or perhaps you own an exotic car and cannot risk it by driving hundreds of miles at a time, so instead, you can use enclosed auto transport. At Philadelphia Car Transport we are always glad to assist you with moving a vehicle. Our team will be happy to provide you with Columbus auto shipping from Philadelphia. Check our affordable rates by requesting a quote online or over the phone.